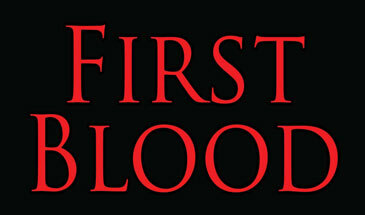 We offer a voice mode, which is called “First Blood!”. Feature of the mod is that as soon as you commit the first murder, you will hear the corresponding phrase – “The First Blood!”, Plus there will be a pseudonym and the words “the first blood was spilled!”. The authors of the mod are locastan + Dark_Knight_MiX + Andre_V. In the archive you will find 6 different voices in Russian and English. In addition to the voice mode, you will also report the end of the battle with a specific time: 5, 3, 1 minute and 5 seconds. Be careful: you can only use one voice version. The mod’s new version just got ruined. Announcer’s volume is decreased and so its quality. Announcers sounds mixing up with Russian ones. 9.16 version was better why? Because all you had to do is just put the UT2004 ENG folder into the game and boom everything is fine, sounds quality was good, announcer volume good, Time warning was from the folder you selected and it was good. As for now 9.17 needs some fixes. Increasing sound volume of the announcers, announcer folders needs some fixes because English version mixes up with Russian ones. And as an addition it would be great to see UT 3 ENG ones.